Beginning January 19, 2018, the Enhanced Nurse Licensure Compact (eNLC) will be implemented. Under the eNLC, nurses can provide care to patients in any eNLC state without having to obtain additional licenses. 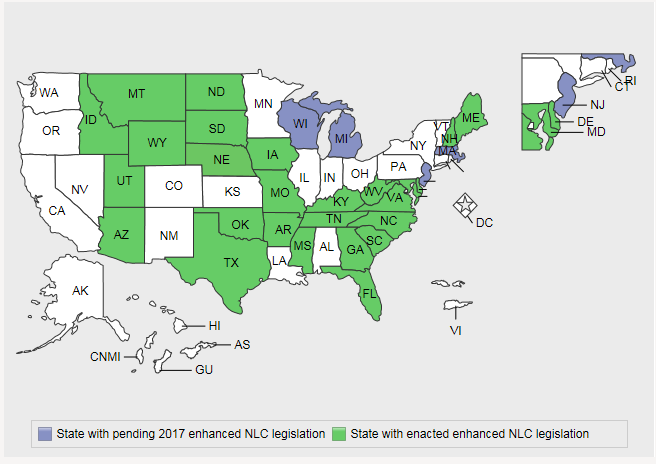 Nurses with an original NLC multistate license will be grandfathered into the eNLC.